Kip McGrath Luton Tutor's Blog | Professional tuition in English and Maths in Luton, Bedfordshire. How do you get kids interested in science? Make it fun and hands on. These science experiments are guaranteed to get your kids excited and you don’t need any science knowledge to do them. Just a bit of common sense and a few household ingredients. Add cornflour into the bowl. Add the water and food colour. Mix and play around with the mixture. Scrunch up the cornflour into your hands and see if you pick it all up and roll it into a ball. It will become a ball and look like a solid as long as you keep moving the ball between your hands. Now keep your hands still with the cornflour ball still in your hands. What happens? Dip your finger into the cornflour mixture, it should be a liquid. You can stir it gently and it look and feel wet. Stir it really fast. What happens? Punch the cornflour mixture with your fist. Did it splash? You can do this on a large-scale, watch this video with the same mixture in a swimming pool. Place the skittles in a large circle around the edge of the plate. 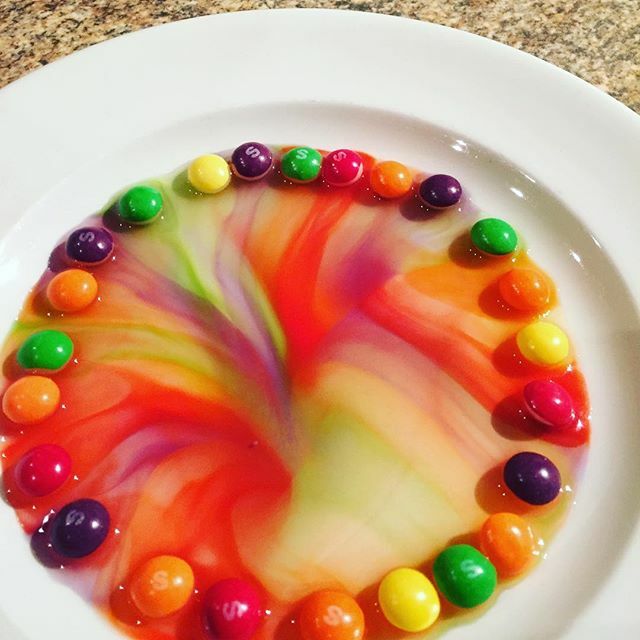 Add water into the middle of the circle but don’t drown the skittles. Do this carefully so that the skittles do not move. Then keep still and watch what happens. Repeat the experiment with hot water. Do you see a difference? Repeat using M and M sweets. Repeat but make a square shape with the skittles. You will need: 1 sachet of instant dried yeast, 1 small plastic water bottle, 120 ml of hydrogen peroxide (6% strength), a large squirt of washing up liquid, 3 tablespoons of water, food colouring. You should have most of the ingredients at home, except for the hydrogen peroxide. You can buy this from any chemist. Hydrogen peroxide has a shelf life and over time it changes to water. So don’t use an old bottle that’s been lying around your house for months. If you do not have safety goggles, then an adult should do this part. Hydrogen peroxide can irritate your eyes and skin and safety precautions are written on the bottle. Pour the hydrogen peroxide into the empty water bottle. Then add the washing up liquid and food colouring. You can stir the mixture gently. Now place the bottle in a large deep tray or in the sink as it can get messy. Children can do this part of the experiment. In a separate container, mix the dried yeast and water. Then quickly pour this mixture into the bottle. Do this quickly if you want some drama. hydrogen peroxide is available in different strengths, try the same experiment with different strengths. Try different shapes containers, the longer and narrower the container the quicker the foam rises up and out. Here’s a video of my experiment. The national curriculum has put a greater emphasis on cursive handwriting. Children in year R are being taught how to write joined up and it’s worrying many parents because they don’t know how to help. I’ve collected some “gems” over the years and have used some of these resources with my daughter. This post gives you easy ays to help your child with hand writing. ‘Cursive’ or ‘joined-up’ handwriting is any style of writing where letters are joined to make writing faster. If we can make the physical process of writing – handwriting – enjoyable from the start, children are more likely to see themselves as ‘writers’. If the physical process is unpleasant then there is a danger that everything associated with it – spelling, writing stories will also be unpleasant. Handwriting is a skill which takes time to learn, just like using a knife and fork or tying your shoelaces. So activities like colouring in, using scissors, anything involving the hands are beneficial. The Dadlab Youtube channel has some great videos on practicing handwriting with children. This video is a Montessouri method where the child writes the letter in a tray of granulated sugar. It’s so easy to do and great fun. If you do have a whiteboard, you can write and then get your child to rub out what you have written by tracing over it with a finger. I have done this at Kip McGrath and its so easy to do. Here is a short video. For a more structured approach try pre-writing activities which involve tracing shapes and lines. I print these out and laminate them so that children can write over them with a dry wipe pen, rub out and write again. Senteacher.org has lots of printable resources you could use. These worksheets from Activity Village are lovely. Once your child has mastered simple worksheets, they can move onto pictures. The idea is to give plenty of opportunity to hold a pencil correctly and control the pencil. Try this lovely owl picture from the Scholastic website. Then there’s these pre writing worksheets which don’t use dotted lines at all. Start with your child’s name. This technique is called “back-chaining”. Write the whole name first, and then write it again underneath but leave off the very last letter for your child to complete. Then write it again, this time leaving off the last two letters and so on, until the whole name is written independently by your child. Doing it this way means there is always a correct model for the student to copy, and you are breaking down your child’s name into manageable chunks. Back- Chaining a technique to help your child learn to write their name. Starting points are very important- mark them with a dot or a star, and make sure your child is forming the letters in the right direction. This worksheet from kidstv123.com marks the starting point with a star so the child knows where to start. I make the children say what they see before they start writing so for example an “m” is a stick and tunnel and a tunnel. b – it’s important to get this right as many children confuse their b’s and d’s. Talk about the letter as if you are describing a movement rather than a shape. Start at the top and go down the ladder. When you get to the bottom go up the ladder a little bit and then go round the roundabout. You may need to explain that the roundabout comes after the ladder. d- same as the letter “b” but explain that the roundabout/ball comes before the ladder. e – across the bridge, over the top and down and round. Teach similarly formed letters in groups, rather than working alphabetically, so, for instance, “c” and “a” may be taught together as may h, m, n and r.
These workseets from the measured mom are an excellent way of writing numbers. They show clearly where the starting points are and each worksheets covers one number. The numbers are in different sizes too which also helps with pencil control. Get your child to practice their name by making your own name writing worksheet. Just print the worksheet, and put it into a clear plastic pocket. Children can write on the clear plastic pocket and wipe clean easily if you use dry wipe markers. To Trace or Not To Trace? Tracing letters instead of writing from scratch is easier but I would only do that for children who have good pencil control. At Kip McGrath we prefer to start with tracing as it gives the children a template. Tracing improves fine motor skills and should be used initially. Stop tracing once your child can write all the letters of the alphabet confidently. The following websites do some great tracing worksheets. SEN Teacher Flash Card Printer – select a word list suitable for your child, select font size 4, select a dotted font and change to a plain border. Print, laminate and use. Handwriting worksheets – particularly good for making cursive handwriting worksheets. Soft Schools – easy to use and prints out the handwriting guide lines too. Super Teacher Worksheets – child friendly worksheets generated, a few are free to try. Donna Young has a whole section on handwriting resources and what I like abut this website is that they are arranged in order of difficulty. Is your child sitting the 11 plus this year? Are you feeling overwhelmed by your child’s forthcoming 11 plus exams? Here are key tips to help your child prepare. There is a growing trend in my town. Since starting my education centre 12 years ago, I have seen an exponential increase in children applying to get a place in grammar school. Grammar schools have grown in popularity since the last recession and parents are now more aware of school standards. The thought is “if I can’t afford to send my child to a private school, I’ll send him to a grammar school even if it is 30 miles away”. Cramming for exams doesn’t work and it’s a short-term solution. You should start preparation at least one year before the exam so ideally at the start of year 5. If you leave it too late it will build unnecessary pressure on you and your child. I find that children who start early also adopt a good work ethic. They get into the habit of regular daily study on top of their school work and these skills will be invaluable at grammar school. Grammar schools take the top 5% of students. For a child to have a good chance of passing the 11 plus exam, I recommend that the child should be in the top set and the top table in both English and Maths. This alone is not enough, children must be keen readers. Reading improves vocabulary and general knowledge. General knowledge cannot be learnt by reading an encyclopaedia, rather it is learnt through experience or through reading around the subject. A child who is included in decision-making will be more willing to put the work in. It reduces the burden for you too. knowing what is going to come up the exams – is it just verbal reasoning or is it more? Use books. The popular books are by Bond, CGP and Letts. Use worksheets. You can download practice questions by searching “practice 11 plus worksheets”. Worksheets are better in some ways because once you have downloaded them, you can print them as many times as you need. Use online sites. Online sites like 11plus.co.uk provide online practice tests and exercises and also do mock tests. Wordbuilder is an excellent site for vocabulary practice. Use practice papers. When doing practice tests, first focus on ensuring that your child answers every question without a time limit. Work on accuracy and technique and let your child familiarise themselves with the different question types. You don’t want your child reading the instructions on how to answer each question in an exam situation, they should just start working it out. After that you can start doing practice tests under timed conditions. Play games and puzzles. This blog article talks about how you can still practice verbal reasoning skills to keep your child interested. Experts say that you cannot prepare a child for grammar school because they either have it or they don’t. I’m not here to argue that point, I’m just here to help you help your child. Whether they get into grammar school or not, it’s the journey that matters more than the outcome. I learnt how to revise science the hard way, through failure, trial and error and pure determination. I got through my GCSE exams by reading through my science books – once or twice! I was lucky to have a good memory. Then I did my A levels and discovered that I had to do a lot more reading, but just reading wasn’t enough. I had to read, write, talk, test, draw, re-write, re-read, re-test and repeat. It still wasn’t enough and it wasn’t until I started my degree that I really understood how to learn properly. Has this ever happened to you? When you think you’ve done enough revision and realise after the exam that you didn’t know anything? Now that I have been teaching for 22 years, I have seen thousands struggle like I did, but if you follow my very simple guidelines, you will save so much time and avoid the stress. Step 1: Make sure you have decent notes. If you are lucky, your teacher may give you printed notes so you won’t have to write your own. I ask my students to show me their science books and what I usually see is half-written experiment write ups, loose worksheets and maybe a few answers to questions from a text-book. You cannot revise from these. So get hold of a course syllabus. What’s that? It’s called a specification and you can download it from all the examining board websites. Make sure you know the title of your course so that you download the correct one. Sometimes teachers give out a summary sheet at the end of a topic which lists everything you need to know, and have notes on. Go through the list or the syllabus and start writing notes on the topic IN YOUR OWN WORDS. If you are just copying, you are not thinking. Be warned, this step takes the longest, and more so if you don’t have the right sources of information. If the notes in your books are not enough, use textbooks as opposed to revision guides. I find that revision guides don’t go into detail, so only use the revision guides as a quick reference point but they won’t explain anything. If you still need more notes then go onto BBC Bitesize like I have explained in this post and top them up. Yes it will, but you will only have to do this once. I took inspiration form @study_motivation101 on Instagram. She posts pictures of student notes and revision techniques and they all make you want to do the same. Highlight the keywords and important bits in your notes. Make a key to colour code your notes so you could use one colour for all formulas, one colour for all definitions and one colour for all the tricky bits you keep forgetting. Draw mind maps. Write the topic title in the centre of the page and then branch out. The first time you do this, don’t look at your notes, just add on everything you can remember. It doesn’t matter if it’s just a few words. Then look at your notes and fill in the gaps. Use diagrams, charts and tables in your mind maps too. Using colour will keep you awake while you revise. The more colourful the better. Write in different colours, draw bubbles around important information and underline keywords. You can even write questions in the margin in a different colour to test yourself as you read your notes. Read your notes, and now only write down the most important information. Index cards shouldn’t have lots of words and should be used as a “quick look” guide. Look at the way they have been used in the picture below. Use colour, diagrams, highlighters, and subtitles to break up the information into manageable chunks. Use post it notes to remind you about important points. You can also cover some of your work with them and write a question on them. The answer is revealed under the post it note. This student has used post it notes directly on a revision guide. As you go through your notes, always think about how you will be tested. What questions could be asked? Write questions for yourself as you go along, the simplest ones could be just recalling facts. For example when revising a diagram on the digestib=ve system, you could write down the question “name 5 parts of the digestive system and put them in order”. The second type of test questions could be end of topic tests you have done at school. Ask your teacher for these and go through the questions again. The third type are usually found in text books at the end of each page or chapter. They usually have answers too, so a good place to start. BBC Bitesize also has end of topic test questions. 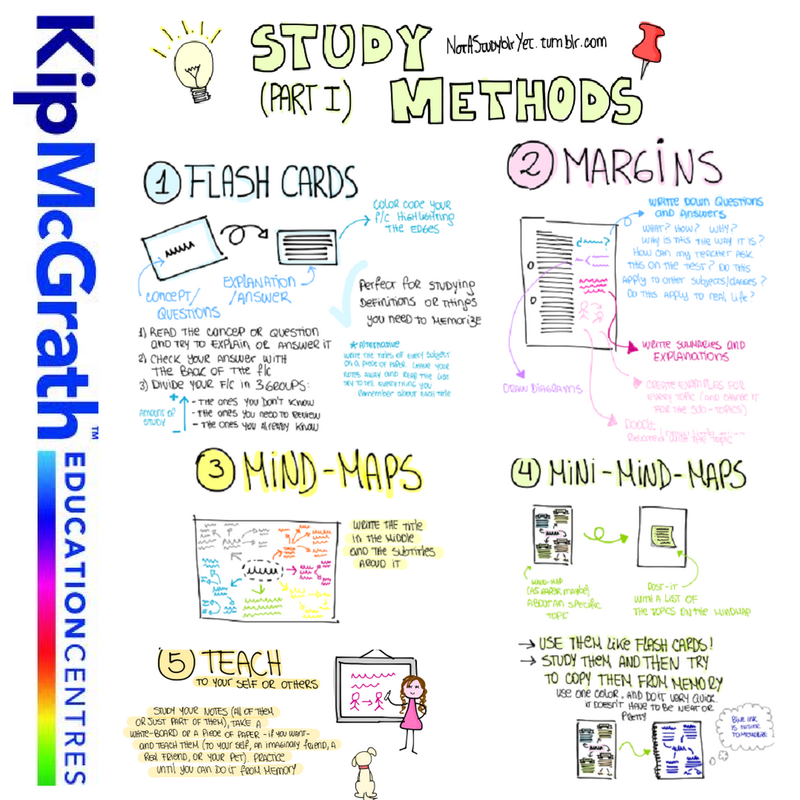 Step 4: Download past papers and their mark schemes. Many students get to step 3, and then think they know it all. The game isn’t over until you have done some real exam questions. This will get you used to the wording of the questions and you will see that questions are repeated (although they are not exactly the same). When you have revised a topic, answer and mark the exam questions just on that topic rather than answering a whole paper. Learn how to mark the questions so that you don’t have to wait for your teacher to mark them. For my students I have created custom made exam packs focusing on just one topic at a time. Once they have mastered every topic in that paper, I let them do the whole paper. I have created exam question sets by topic. Below are some of the ones I have done so far. They do not have answers yet. When I was at school my Biology teacher would dictate pages and pages of notes for the whole lesson. Occasionally we had a practical lesson, but the best lessons were the ones where she would ask us to put our books away and ask questions. We would spend the whole lesson taking turns to ask her questions related to the topics we had been studying. This method of teaching helped us to understand, apply and remember the topic. My science lessons are student led, I have a lesson planned, but most times I walk in not knowing what I will end up teaching. I encourage students to use scientific words when asking questions and when talking about science. New students rarely contribute to class discussions and don’t understand how science matters to their lives. Do you see the difference? This was a question which came up in a physics topic on the electromagnetic spectrum. The discussion continued onto cancer to treatment of cancer to Ebola to vaccination to drug discovery to forensic science and so on. I find that teaching science in this way helps the students to remember more as it relates to their lives. It makes science less abstract and more interesting. My science lessons are every Tuesday from 4.30 to 5.30. Call 01582 402225 to book your child in. There are 2 halves to my job as a teacher, to teach and to help a child to remember what I teach. I can go through a whole GCSE English poetry anthology with a student, but if the child does not have the skills to remember it, then it’s teaching time I have wasted. When faced with upcoming tests and exams, students can get overwhelmed by the sheer amount of work. This task of revising is like asking a student to tidy up a rubbish dump, they don’t know where to start, how to sort it and what to do with after it’s sorted. So I break down revision into three parts. Most school teachers give out “I can” sheets at the beginning of every new topic. These are just a list of statements which summarise what the student should be able to do by the end of the topic. Edexcel 1MA0 Linear Exam Topic List – Foundation. Then take each statement and make sure you have notes and explanations on it. If you don’t, then you need to make your own notes either using school textbooks or revision websites recommended by your teacher. You can also make your own flashcards on websites like QUIZLET. Now that you understand the statement, you need to test your understanding. So collect exam questions or practice questions on the topic WITH ANSWERS. How will you know if you are doing it right if you can’t check the answers. Good sources of questions are end of chapter questions in textbooks and worksheets you might have in your books. This three-step method works for any topic and for any age group. Try it! BBC BITESIZE – syllabus specific notes on most topics covered in school. It’s a big site and can be difficult to navigate. If you have a specific question, for example “how does osmosis work” then search “osmosis bitesize” in google and it will take you to the best page. MATHSWATCH – educational videos explaining how to do maths. WOODLANDS JUNIOR SCHOOL – better for years 1-6, but also useful for older children to recap. The writing is simple and easy to understand. ENGLISH BIZ – great revision site for GCSE english. I love the way each section has examples of student’s work and professional examples. A good place to start for cntrolled assessments. MR BRUFF’s YOUTUBE CHANNEL – if you want a different way to revise, try watching youtube videos. Mr Bruff’s videos give excellent tips on how to answer exam questions in GCSE english. He uses real exam questions and goes through the paper one question at a time. KESH MATHS – a great website for exam questions broken down by grade. MYMATHS – only works if your school has given you a password. MATHSWATCH – this used to be available on a CD but now most schools have online access. You watch a video where a teacher explains how to do a maths question, then you try a question yourself. If you didn’t understand what you did in class today, watch a video on Mathswatch. EXAM SYLLABUS WEBSITES – make sure you know which examining board you are studying and then navigate to the syllabus you are following. Download past papers and mark schemes. the common examing boards are OCR, EDEXCEL and AQA. Student Alert: Why Didn’t I Pass My Mock Exams? You revised, you went to revision classes at school, you paid attention in class, you did your homework, yet you still didn’t get the grades you hoped you would. What did you do wrong? If you are wondering this, then read on. This week I have had numerous calls from worried parents who have said the same thing to me. Their child works so hard, yet it doesn’t show, what could be the reason? They saw their child sitting at their desk with their books open, sometimes even staying up late to get the work done. Experience tells me that any child can learn, if given the right tools. It’s all about focus, technique and time. If one of these three elements is missing from revision, then it won’t work. The obvious meaning is to avoid distractions, and really really concentrate. Don’t procrastinate. One of my students can take up to 10 minutes just getting her books out, another will leave out the tricky topics hoping that they won’t come up. One student had a super organised study area, where she had a collection of text books, notes, past papers and worksheets, but no real revision had actually taken place. The other meaning is to cast aside all the stuff you don’t need. Only revise what is going to come up in the exam. If you don’t know what will come up, then you need to ask your teacher to print off a syllabus. Then tick off each topic as you revise it. 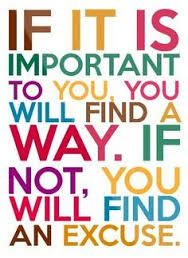 It will show your progress and will ensure that you don’t miss anything out. If you missed out questions or revised the wrong topics, then you didn’t FOCUS on the right things. 1. What’s your learning style? We all learn in different ways. I am an auditory learner, so I prefer to watch videos or listen to talks and lectures. Sometimes I like to make notes, and use highlighters to help me remember things. Find a learning style that suits you and one that comes to you naturally. If you don’t have a preferred way of learning, then use what works. This infographic will help you find out your learning style and how you can use it to study better. There’s lots to revise so break down each topic into smaller chunks. Revise that chunk, and then test yourself. So many students will revise without doing past papers and tests. Worse still, they do the past papers and wait for their teachers to mark them. How will you know if you got the questions right? It’s like cooking something to eat and not eating it! Mark the papers yourself, look at the wrong answers, and then figure out how to get the right answer. Then do another paper and repeat. I was watching a TED talk on YouTube called “The First 20 Hours — How To Learn Anything“. The speaker claims that all you need is 20 hours to learn something and is worth watching. Did you devote this much time to your revision? If you did fail your mock exams, then now is the time to get organised. Watch the video and then act on it. So many parents feel detached from what’s going on at school; and helpless as a result. They don’t really know how things are going, and if they do, there’s often very little can do to influence matters. The trouble is: this stuff is important. Really important. What your child is doing NOW is likely to have a massive effect on their future. Do you know how well they’re doing right now? If your child hates reading aloud it could indicate that they lack confidence in themselves or their reading ability. It might be that they don’t understand what they’re reading, it could be that they’ve had a bad experience when it comes to reading at school. Whatever the reasoning, a reticence to read aloud can definitely point towards a struggle. Look at your child’s body language when she reads, I notice children fidgeting, rocking, rubbing their eyes, clearing their throat needlessly and even whispering rather than reading aloud. If they ARE reading aloud, but they guess at words, it could be that they’re struggling to decode the word and understand what they are reading. Children will see the first letter and guess what it might be, and generally make wild guesses if the book is too hard. In younger children, they don’t even look at the first letter of the word and will choose a word they are familiar with. This can be a big problem at school when the onus is often the child to learn by self-discovery. If you find your child guessing at words there’s a chance that they’re behind and struggling to read material for their age group. If your normally placid child suddenly starts becoming more aggressive or heated, there’s a very good chance that something is wrong. It’s almost unheard of for a child to just become aggressive for no reason (particularly a child at primary school age), so generally when it happens, something is bothering them – it could well be their studies at school. One of the clearest signs that your child is struggling is when they seem to put a lot of effort in, but still struggle to get a good return on that work. This could indicate that the way they’re being taught at school doesn’t suit them, or that they’re behind the average for their age group. If your child is taking ages to finish a simple piece of homework – or the dreaded “learning log”, they may well be finding the work too hard or it might be that they are struggling to motivate themselves to complete the piece of work. Either way, there’s an issue there, so if you feel like the work should be completed much more quickly than it is getting done, it’s worth finding out why that’s the case. Hopefully now you’re in a better position to work out whether your child is struggling at school. If you feel like they are, and you’d like a professional opinion to help you decide what to do, we’d love to talk – call us on 01582 402225 now. So many year 11’s are under pressure right now. They have to go to extra classes arranged by the school, even at the weekend, they have to finish off all of their coursework and revise for mock exams. The pressure is so much that don’t know where to begin. From experience I know that they struggle with getting organised and don’t realise the seriousness of exams until it’s too late. They cannot see the bigger picture, that a little bit of work now will make less work in the future. Parents can only push them to a certain extent but the end result depends on the child. If the child is not motivated, then you can be paying for the best schooling and extra tuition but it will not make a difference. Schools can put on booster sessions and revision sessions until 8pm every night. This will tick all the boxes and show that they care for their students of course but will the child be focussed and make the most of the time? Until effort is made, and I mean real effort which involves engaging the brain when revising, and putting in the hours, the rewards will not be gained. My A* students are already at the finishing line, they had their notes organised from day one, they realised that it takes an enormous amount of time, they realised that success only comes with hard graft, not because your mummy and daddy are nagging you to work. Is this pressure a good motivator? Are we being too harsh on our kids? Or is it a necessary life skill to learn? They are teenagers, and have a right to choose what they do with their time, but when faced with deadlines and work loads, should they ignore them or work on them? “What do you think I do all day?” I asked one of my GCSE English students. “Miss I bet you’re having coffee with friends and catching up on Eastenders,” she said. Lol I wish it was like that. Another student said that I must have a day job somewhere. I teach in the evenings so people assume that I must have another job during the day. WRONG! My business is a full-time job, and as a centre owner I have many duties. So first thing this morning, after the school run, I had a meeting at a local school with the inclusion co-ordinator. A parent of one of the children I teach asked me to come along to the meeting as the child is struggling at school and the school would like my opinion. The meeting was really productive because they were impressed by the report I had written and I gave them a detailed insight into how the child learns and the difficulties he faces. They will be giving him extra support in school now and will monitor closely to see if it makes a difference. Then comes the favourite part of my job, planning lessons. However, this week I made exam revision packs for my GCSE students because they have mocks coming up. 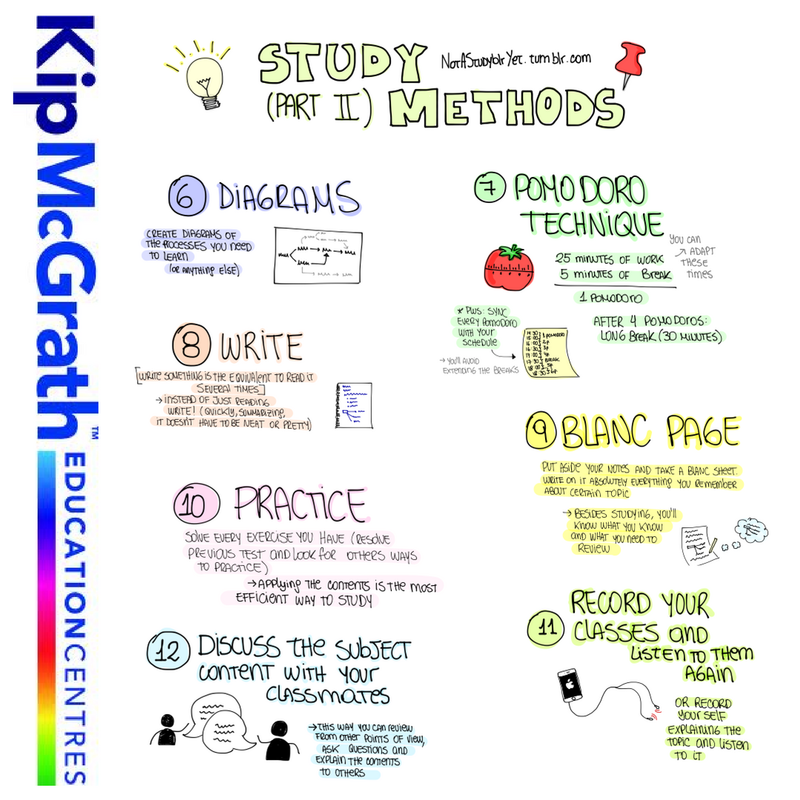 At Kip McGrath we use our own resources but exam practice and exam technique are also essential. We teach children simple things like working out how much time they should devote to each question depending on how many marks it’s worth, and we get them to learn to use mark schemes. These skills they can take away and do at home too. So I made up packs targeted at C/D grades C/B and A/A* grades in both english and maths. Chasing up missed calls takes up a lot of my time too, especially if I am talking to a parent who doesn’t know what we do and how we do it. I’m on the ball when it comes to telling tales too! As soon as a child forgets homework or is not trying, I call the parents. I always give the children a chance and a warning though, but they never believe me when I say I am going to call their parents – until it happens. The calls I love to make are the ones where I have to tell a parent that their child has improved. We test regularly at Kip McGrath and parents don’t always come in to get feedback so it is my job to make sure that the parent knows how well their child has done. About 20% of my day is spent on business activities. I updated my Facebook page, Twitter and Instagram accounts and then wrote an article to go in the Primary Times which is a magazine given to all primary school children in the town. After that I planned my science lesson which I teach on Tuesdays. The class I have are terrible at long answer questions. These questions are worth 6 marks and they just manage to get 2 or 3 marks. I find it shocking that the children know so little, they don’t think that what they learn in science lessons applies to their lives. The other day one of my students thought that test tube babies grew and developed in a test tube! After picking up my daughter from school I then go into the centre to teach. This is when the fun starts. There is no typical Kip child as I teach children from a variety of backgrounds and children who have a variety of needs. I suppose the best way of showing you what a Kip child is like is to take a snapshot of the children I teach in a typical day. For data protection purposes I have changed the names of the students. Linda has been coming to Kip McGrath since she was in primary school and is now in year 11. I am helping her with her maths. One of the areas where Linda needs help is her speed. She rarely finishes an exam paper and likes to get it neat. For that reason she believes that you should get it right first time and takes too long thinking about presentation and method. I also believes this is her way of coping with the task. This week we had a brilliant lesson on the circle theorem and she left with a beaming smile. I texted after the lesson to give an update and mum said that Linda had told her all about it already. Zachary came into lesson today with a heart shape he had made out of play dough for me. He is on our early reading programme and started 4 months ago barely knowing his alphabet. I had to teach him from scratch. He is now on book 10 of the early reading programme but is not ready to graduate onto our primary reading programme yet. This week we did some work on the letter “e” as he forgets the sound it makes in words. We also drilled some common CVC words like “mop, cat, mud, did, fan, bat” and I discovered that he has a limited vocabulary. For example he didn’t know that a bat could also be an animal and that a mouse and a rat are similar. Note to self: do some vocabulary building exercise with him, read non-fiction texts, talk about the books more and encourage him to use and remember one new word per lesson. Hannah is a real success story. She has been attending since April and had a real learning block when it came to reading. She’s worked so hard and overcome her obstacles and is now a free reader. At school the teachers are in total disbelief that she has made so much progress. Today I did some creative writing with her and she did a humorous piece of writing on what she thinks I do all day – this is partly what inspired me to write this blog. We also did some comprehension, but it was too easy for her, so after the first question I changed it to something more on her level. What I love about Hannah is that now she’s proud of her work, every lesson she wants to show her mum her work and asks me to tell her mum about how hard she has worked. Joe’s mum brought him to me for an initial assessment when he was in year 1. She had been to a parent’s evening at school and was told that he was struggling with reading. She wanted him to have some extra help with this, and had heard about us through a friend. His assessment results showed that he was above average in english and maths! We were both confused! Three years on and Joe has changed to a better school which meets his needs. He is extremely intelligent and thrives on challenges. He asks to do algebra and fractions in class because he enjoys it, and he thrives on solving puzzles and crosswords. Today he did a comprehension exercise, one which I have chosen because I know that he avoids it. He likes to read but doesn’t like to write and in the past he has given one word answers. We followed this up by some vocabulary work, choosing 4 words from the passage which he didn’t know the meaning of, and using context clues to figure out the meaning. Then he planned a story for me, focusing on thoughts and feelings of the characters and finally I let him do some maths. My day ends late evening, by which time I am glad to be at home with my family.